Continuing our review of the vast options available for kitchen counter top materials, let’s take a closer look at solid surface, tile and laminate. Cost: About $40-$90 per square foot. Keeping these questions in mind, lets take a closer look at the characteristics of the different materials to choose from, starting with what nature has to offer in natural stones and natural stone blends. Downside: Can be expensive and prices will vary based upon stone choice and size of slab. Some varieties are more prone to staining or etching and will require routine sealing. 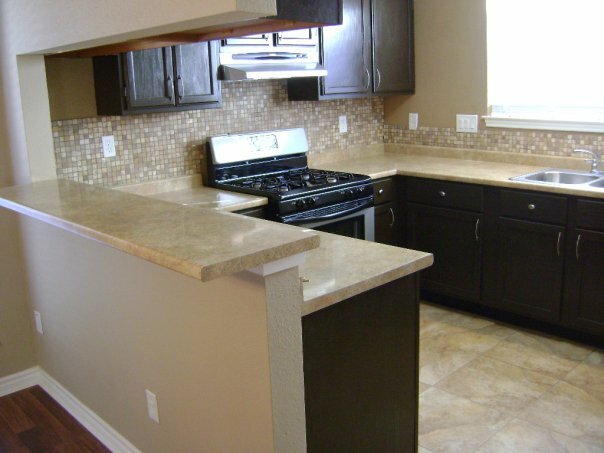 Itching to update your kitchen with new counter tops? The choices are plentiful with many new exciting trends to watch. To help make the process less intimidating and more rewarding later, I believe it is important to first ask yourself some questions about the types of surface choices and how they may suit your needs. 1) Feel: Do you want your counter to be smooth vs textured? 2) Appearance: Do you desire a solid or consistent color vs more natural that has granules, veining or that’s patterned? 3) Material: Do you want a natural vs manmade material? 4) Durability: Can I chop, slice, and dice directly on my counter tops? 5) Water resistance: Will I want to roll dough directly on them? 6) Heat Resistance: Can I set hot pots directly on them? 7) Stain Resistance: Can I spill lemon, orange juice or red wine on them? 8) Maintenance: Do I have the time and diligence to reseal them routinely? 9) Do I want an integral sink that matches the countertop? Over the next few days, I’ll be discussing the various choices in surface types, along with the pros and cons of each including projected costs. In the meantime, please feel free to ask a question or provide feedback.